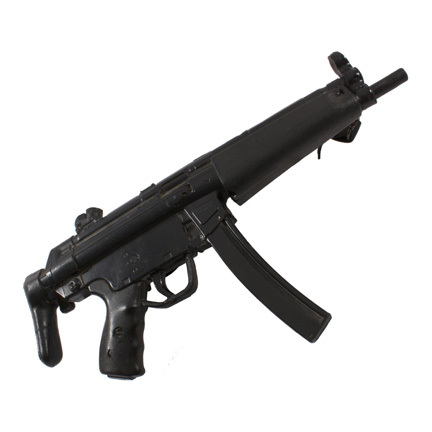 This non-firing prop machine gun has the rare distinction of being used by principle characters in two of the most iconic action film franchises of all time, “Die Hard” and “Lethal Weapon”. 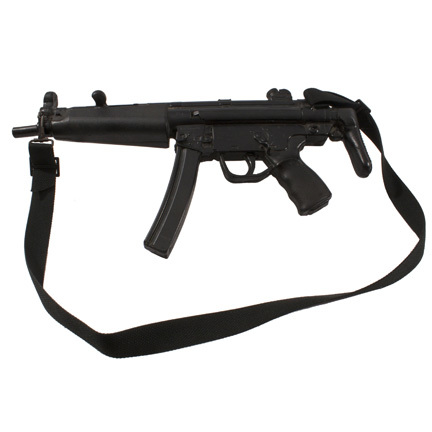 The prop weapon is constructed of dense rubber and was molded from an actual live firing Heckler Koch MP5L 9mm machine gun and is attached to an adjustable shoulder strap. 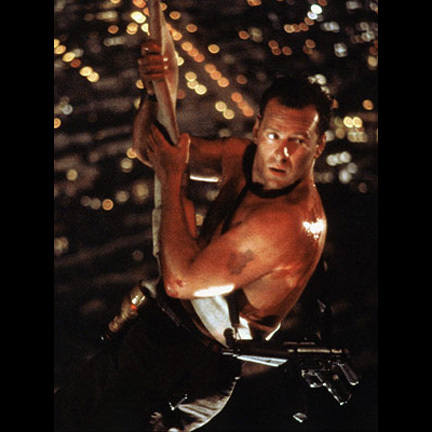 The prop weapon was originally used by the character John McClane portrayed by actor Bruce Willis in the 1988 action blockbuster “Die Hard”. 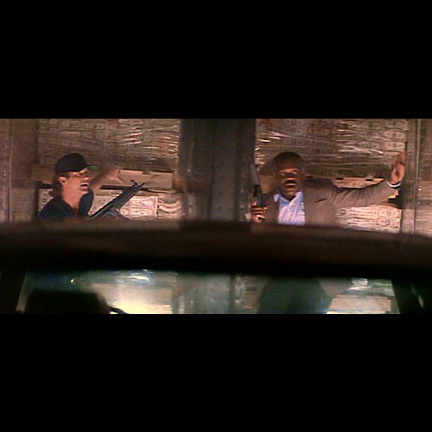 The gun first appeared notably onscreen during the sequence where McClane attacks one of the terrorists and falls down a flight of stairs, breaking the man’s neck. 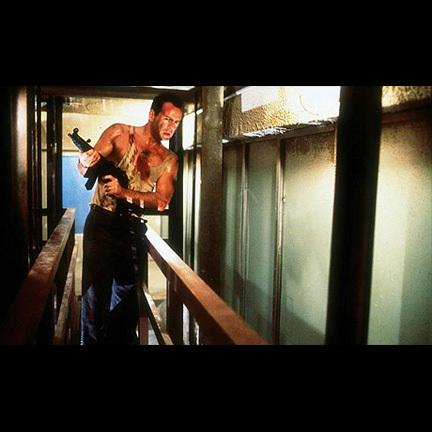 After taking his weapon and ammunition, McClane sends the corpse down the elevator to where the terrorists and hostages are, with the message “Now I Have A Machine Gun, Ho Ho Ho!” scrawled across his chest. 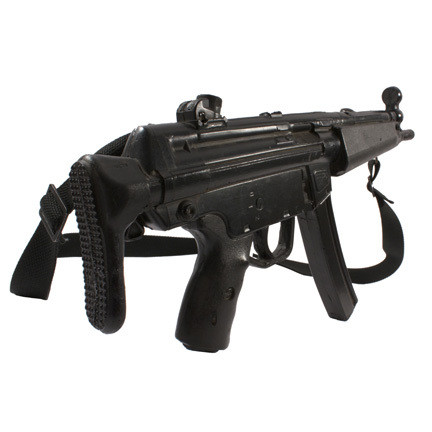 This was a signature line from the film specifically referencing this weapon, making this one of the most iconic screen used properties used in the production. 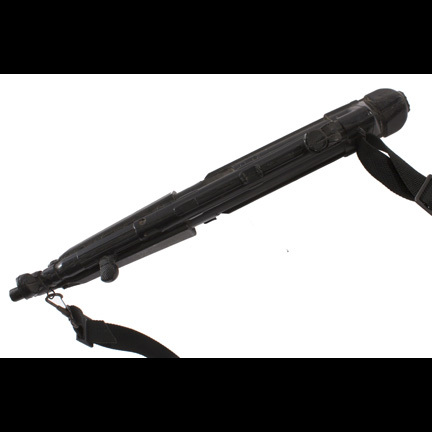 McClane continued to use this prop weapon in numerous action sequences throughout the film. 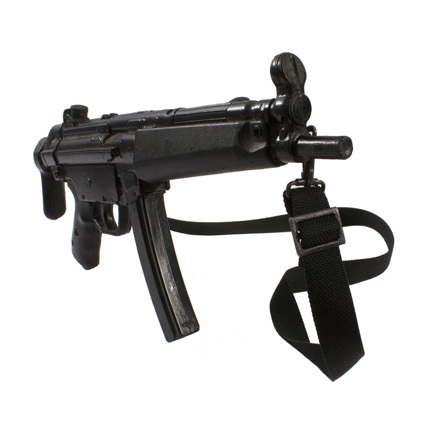 This prop weapon was also used in the first two “Lethal Weapon” films. 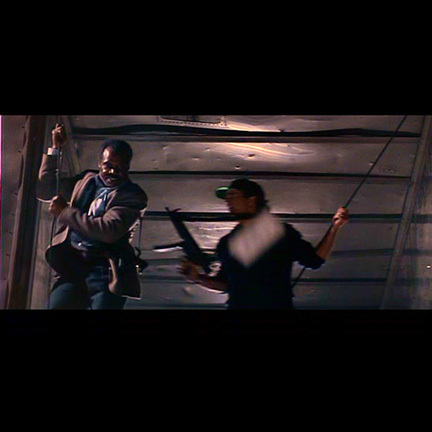 In “Lethal Weapon” the prop was used by one of the background villain characters, and used later in “Lethal Weapon 2” by the character “Martin Riggs” (Mel Gibson) during the end of the film where Riggs and his partner “Roger Murtaugh” (Danny Glover) escape from a sealed cargo container while armed with machine guns. The prop is in good screen used condition with minor evidence of wear from its use in multiple action sequences. The item was acquired directly from the armorer who supplied and oversaw its use on all three productions, and is accompanied by a signed letter of authenticity. Presented by The Golden Closet, your premier source for iconic screen used motion picture wardrobe, props, and collectible music entertainment memorabilia.